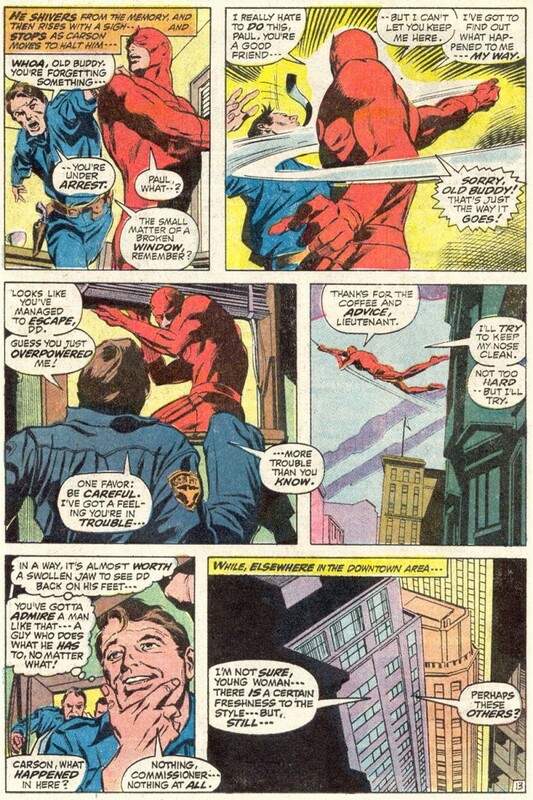 In the panels below, a page and a half of Daredevil #90 by Gerry Conway and Gene Colan, is another case of Daredevil doing exactly what he pleases. What’s odd about this scene is that his “victim” in this case is A) a cop, and B) someone who clearly doesn’t mind getting punched in the face. I’m sure people could write entire essays about the view of masculinity that’s on display in this scene. I’m more confused by how a case of property damage (which Daredevil has clearly confessed to and seems more like a civil matter in this particular instance) would lead to his arrest. And why does he have to hit friendly Paul with such a heavy punch? You’d think a simple shove would and some turned-over furniture would do the trick in facitlitating his escape. And for those who are curious about how Matt ended up screaming at the “sight” of an old lady, I’ll let you in on a little secret: Mister Fear! I recall seeing a scene in Secret War where DD tries to take out Iron Fist while the latter is bowing to him. Might fit well into the Matt’s a jerk series. 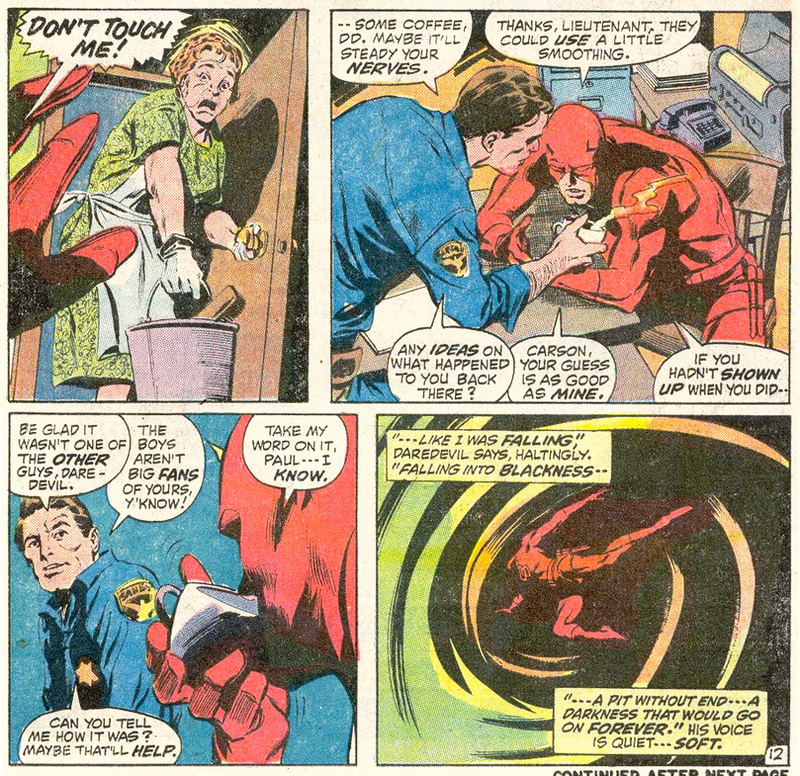 So many of those 70s DD stories were poorly written. No wonder it was a second-rate title for decades.